HYDERABAD Once upon a time ! : People standing in front of the railroad station. People standing in front of the railroad station. 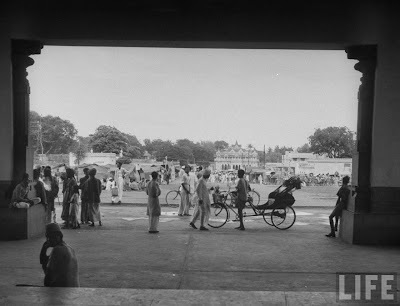 I think this is Nampally Rly Station.